Founded in 1965 by legendary UF and Olympic track coach Jimmy Carnes, Florida Track Club is one of America’s oldest continuously operating track club as well as one of the most respected. 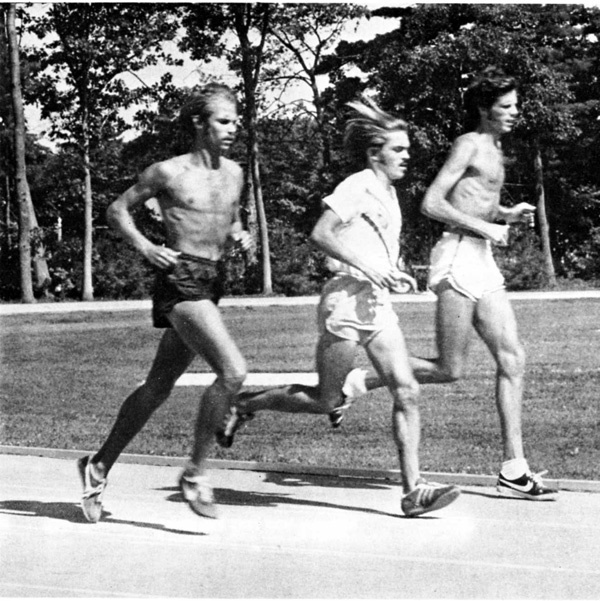 Carnes initially founded FTC as a training group for elite runners, and over the years, FTC came to attract such legendary runners as Jack Bacheler, Jeff Galloway, and Olympic gold medalist Frank Shorter. The club soon earned a reputation as a running powerhouse, and word got out that Gainesville was the place to be for serious runners. FTC continued to grow, and in 1971, took first place in the AAU cross-country championship. It retook the championship in 1972 and 1973, firmly establishing FTC as a force to be reckoned with in the running world. Today, FTC continues its long tradition of cultivating elite competitors. However, its mission has expanded to serving all runners, from kids to weekend warriors to aspiring Olympians. So whether your goal is a national ranking, qualifying for the Boston Marathon, or just staying in shape while having fun, FTC has something for you. Join us and make your own running history! FTC hosts informal group runs that allow participants to enjoy a great workout while making new friends. Runs are scheduled throughout the week in different parts of town, so one is bound to be convenient for you. Challenge yourself with one of the many races sponsored by FTC throughout the year. The club regularly organizes chip-timed 1 mile, 5K, and half-marathon races on USATF-certified courses. Races are open to everyone who wants to participate. FTC’s monthly meetings give you the opportunity to meet fellow runners in a relaxed atmosphere and hear talks by prominent figures in the running world. Meetings may also include training demonstrations to help you up your game. FTC offers stipends of up to $250/year/member to help members travel to out-of-town races through our Steven Detweiler Memorial Racing Scholarship. The only requirements are that recipients wear the FTC singlet at the race and share their adventures at the next monthly meeting. Members also enjoy 10% discounts at Gainesville Running and Walking and Lloyd Clark Sports, as well as discounts on other products and services from select local providers. More information on these training groups and coaching services may be found on our website: www.floridatrackclub.org under Running Groups. As part of its mission to serve all runners, FTC sponsors the Junior Champs Program, an age-grouped youth program that introduces boys and girls to track and field events. The program hosts weekly summer track meets to give young runners a fun introduction to competitive racing. The Junior Champs Program is also an interesting part of FTC’s colorful history—an instrumental figure in its development was Gatorade inventor and philanthropist Robert Cade, who also played an active role in organizing many of FTC’s other events.